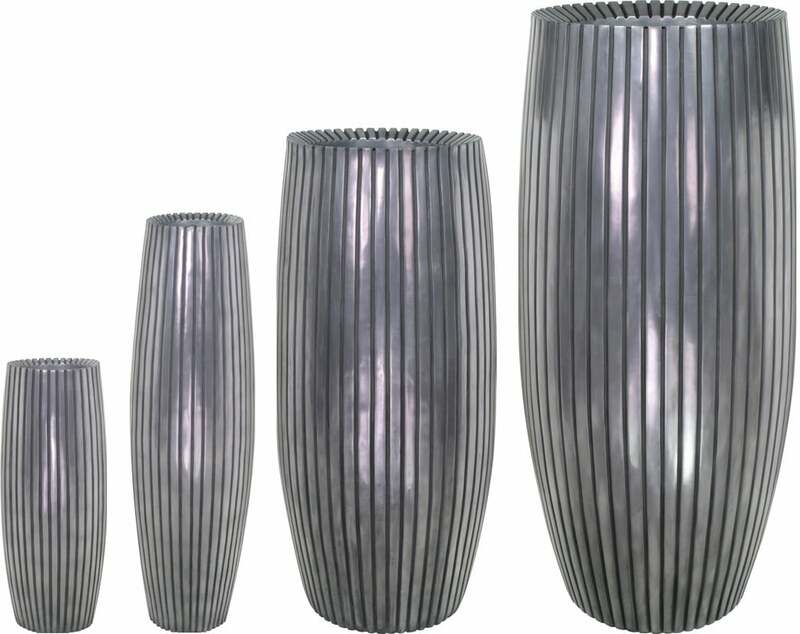 This stylish planter by Fleur Ami is made from an innovative material: a mix of fiberglass and natural aluminium powder. 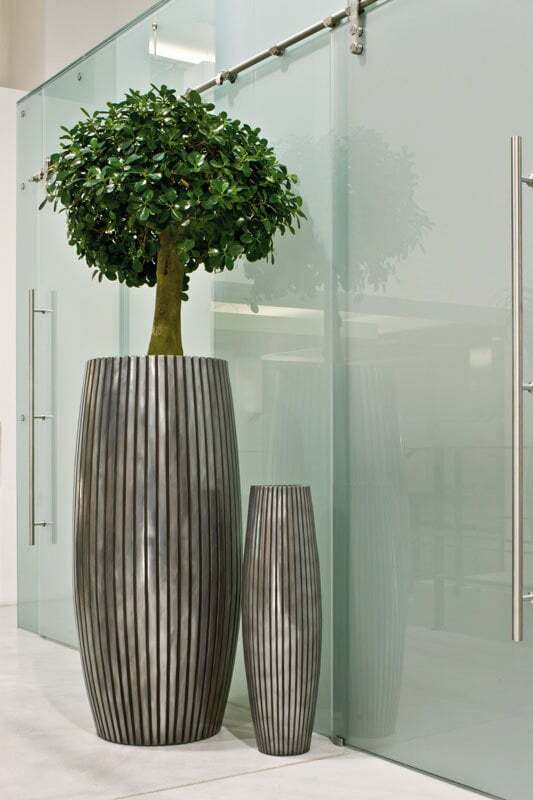 The extraordinary, slim design gives this planter a particularly elegant appearance. A special focus was placed on the width of the brim. The special mix of materials gives this planter additional charm. Over time, through the natural oxidation process, a real patina design develops, without rusting through the material.